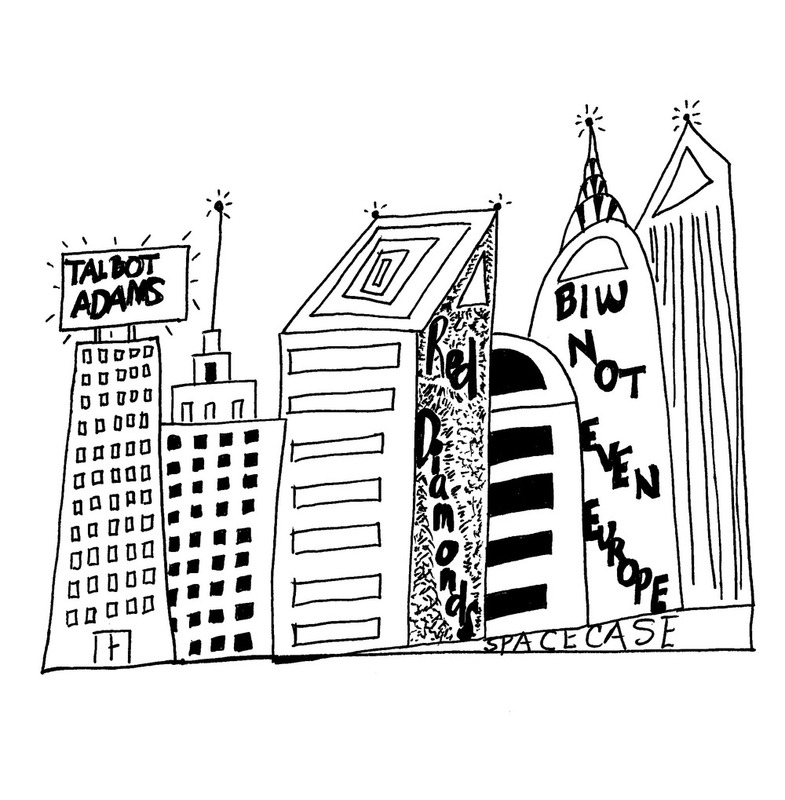 TALBOT ADAMS | "Red Diamonds" b/w "Not Even Europe" 7" Out Now on Spacecase Records! TALBOT ADAMS | "Red Diamonds" b/w "Not Even Europe" 7"
Recognized as one of the nicest guys in show business, Talbot Adams has played in some of the finest bands out of New Orleans, Memphis and Oxford, Mississippi in his nearly fifteen-years in music. Talbot started his career in New Orleans, playing bass for scene mainstays THE ROYAL PENDLETONS (2000-2002). In 2001 he played bass and sang lead and backup for THE DARKEST HOURS (lineup included Peg O'Neill from The Gories and Jason Craft of The Persuaders). Talbot teamed up with Eric Oblivian in THE DUTCH MASTERS and had the incredible honor of playing bass for the late Paul Wine Jones for two shows. Talbot fronted the fine JENNY JEANS from 2002 to 2006. The band played GonerFest 2 and appears on the accompanying CD/DVD. Talbot's last band THE BLACK AND WHITES wound down last year. The group was incredibly productive, releasing singles on Jay Reatard's Shattered Records as well as Douchemaster, FDH and P. Trash. Recently Talbot Adams has released material under his own name where he records himself and plays all of the instruments. An amazing singer-songwriter/power-pop EP was released by Douchemaster in 2010 entitled Jack and Jesse. "Red Diamonds" b/w "Not Even Europe" is the second solo release from Talbot. It's the fifth release from Camarillo, California-based Spacecase Records.